Dr. Farhan Khabaz graduated from the Damascus University Faculty Of Medicine. He did a residency in internal medicine and a fellowship in pulmonary disease and critical care medicine at the New York Medical College. He is board certified in the field of pulmonary disease and critical care medicine. 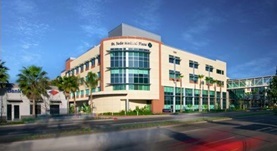 Dr. Khabaz has around 20 years of clinical experience and is currently practicing at the St. Jude Medical Center.